Do you ever go to Chinese restaurants and order wontons? When they get to your table, do you ever stare in fascination at how those sumptuous babies are made? 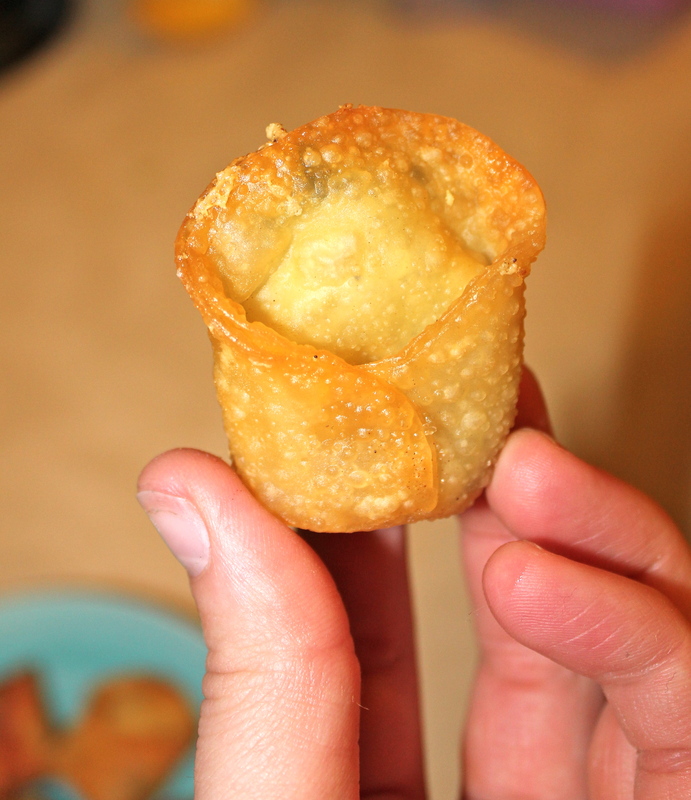 I love wontons. 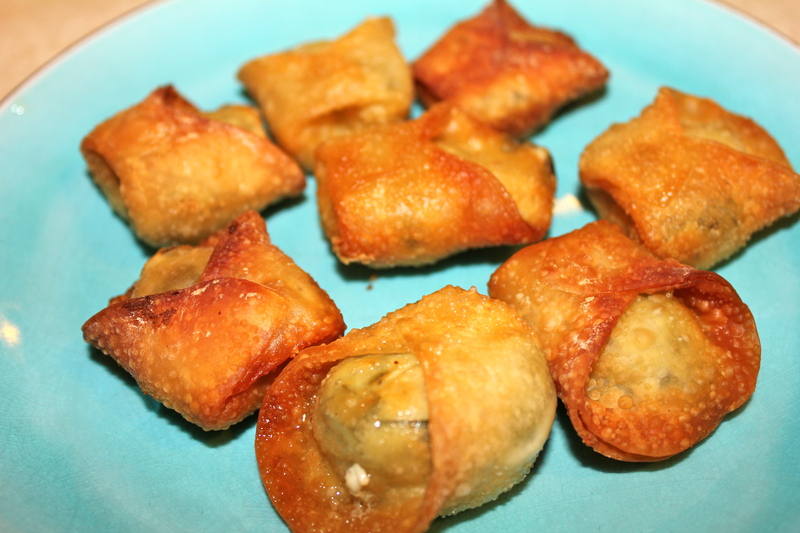 Especially cream cheese filled wontons where the filling melts into the cracks and folds of the crispy shell. I would consider myself to be pretty DIY, and so the other night, I decided, hey, I might as well try to make some. 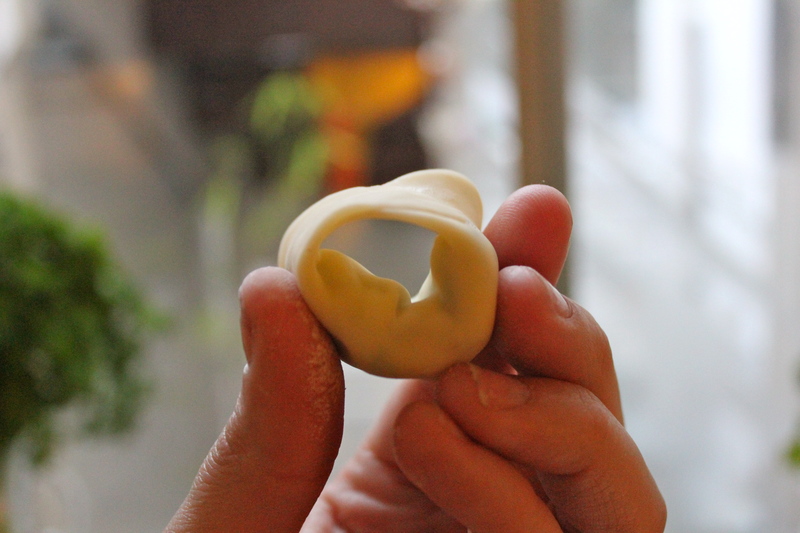 I had to watch this Youtube video to learn how to wrap wontons, and turns out it’s amazingly easy! You start with your filling, the measurements are really based on your preference. To fold them, trace a half moon of water around one side then fold the 2 sides together, squeezing out the air and pinching the sides tightly shut. I chose to fold my wontons in the “Nurse Cap” style. Its easy as pie. Fold the right edge over the left and pinch it shut with your fingers. 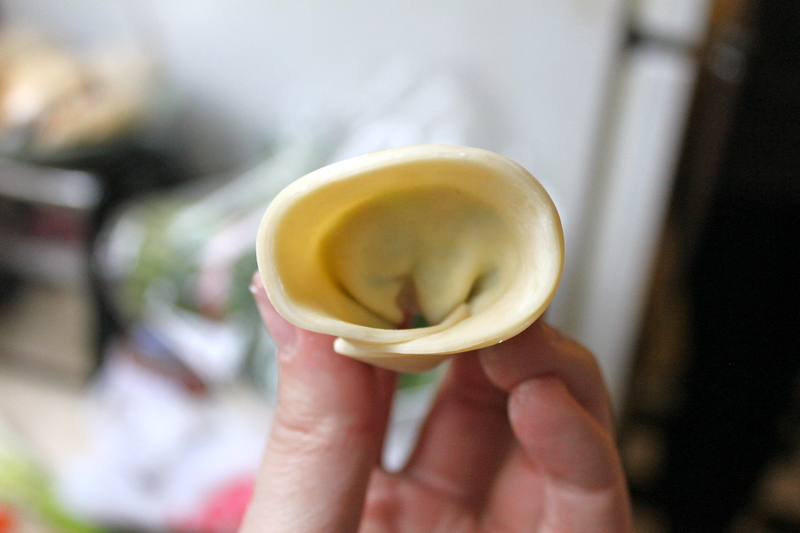 I rounded this one out to show you the bottom, but you can push the folded top flap and the filled portion together. After you’ve finished, its time to start frying! In an appropriate sized sauce pan, place about an inch and a half of oil inside and heat on medium, not to the point that the oil starts smoking though. 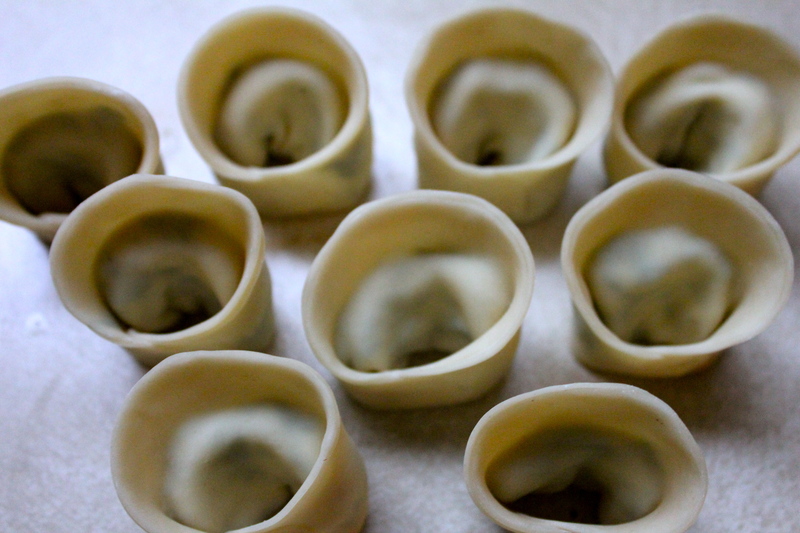 Place a few at a time in the pot, remember though, don’t crowd the wontons! They need their space to fry. 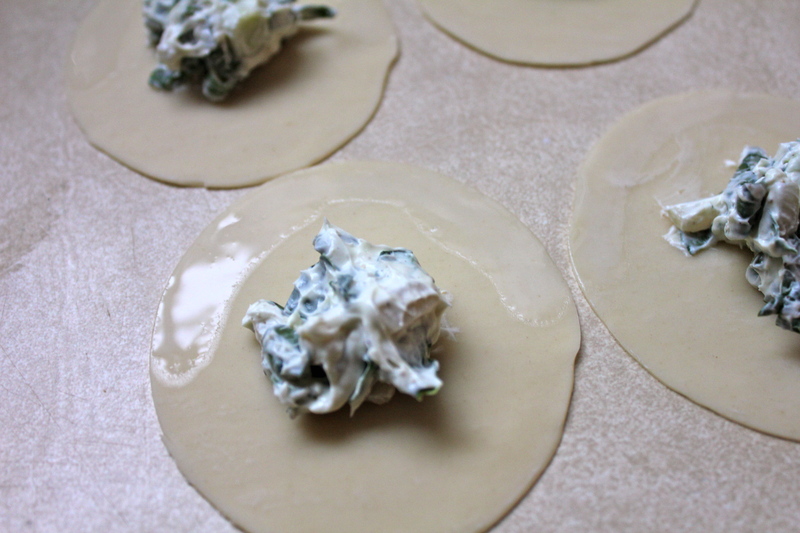 Your wontons will float on one side, so halfway through flip them over. 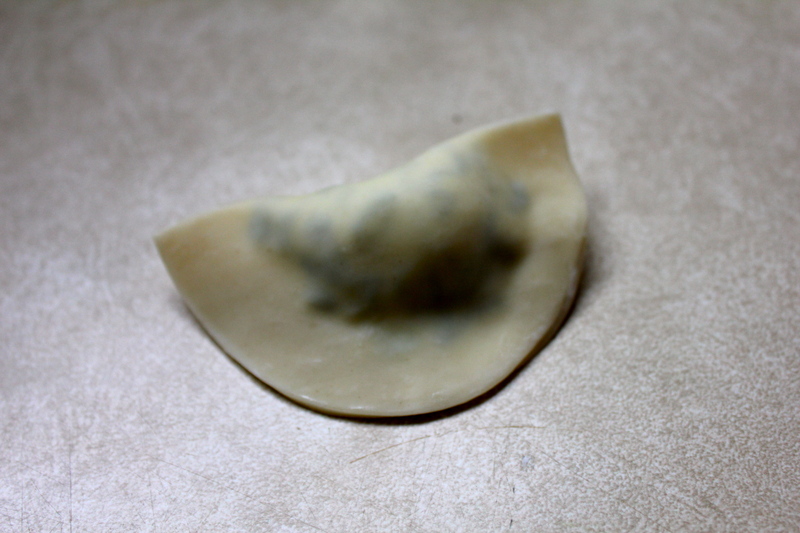 I found that turning the heat down a little and cooking the wontons low and slow worked well for me. But if you’re starving go ahead and keep it at medium/medium-high and just watch them like a hawk so they don’t burn. Yea, they were incredible. 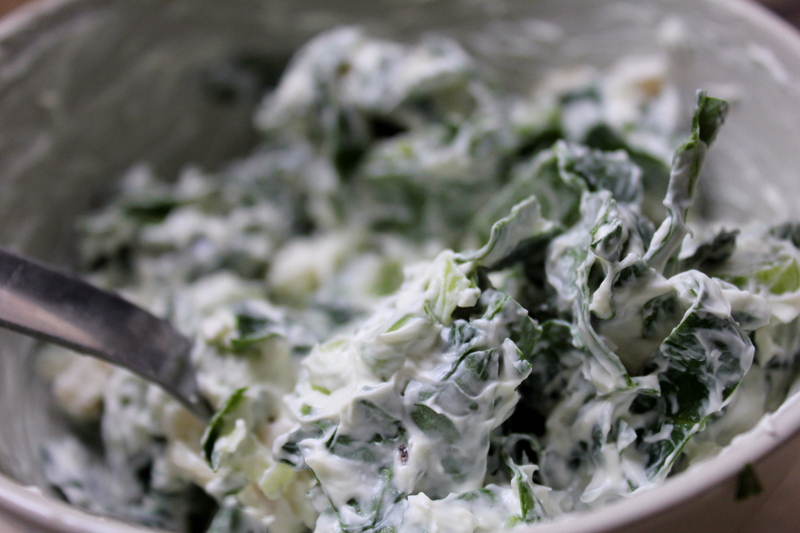 The spinach warmed and softened while the green onions maintained their subtle crisp flavor and the water chestnuts were that extra crunch vital to keeping a dish from flat lining. 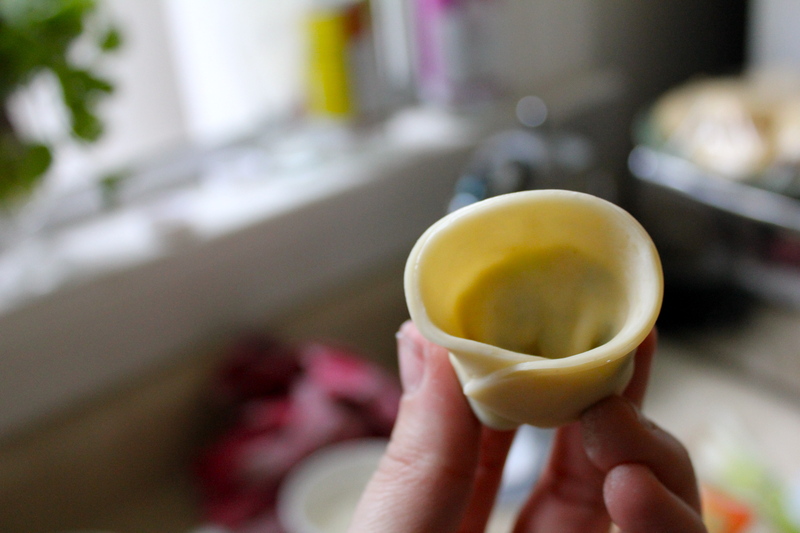 If you wanted to go a healthier route, you could poach the wontons in chicken or vegetable broth. 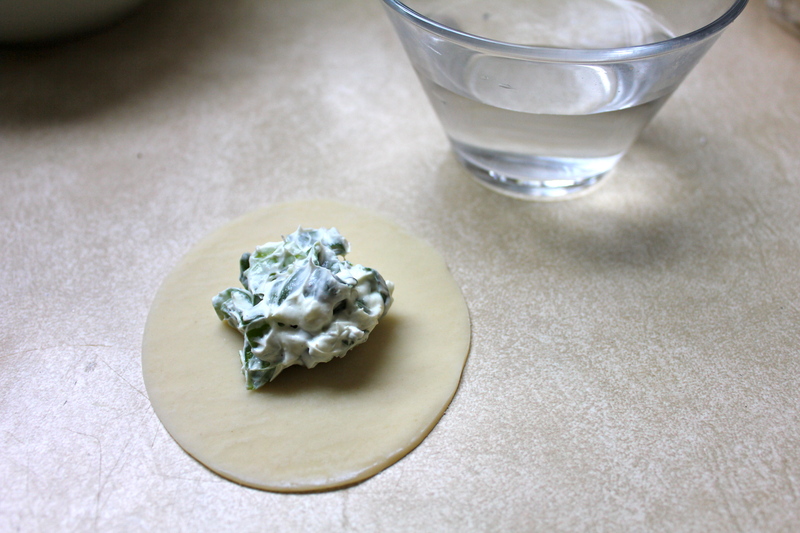 For me though, I think this method is better suited for a wonton soup, rather than an appetizer, and I think I would prefer a meat and veggie filled poached wonton. I’ll leave my cream cheese crisp. 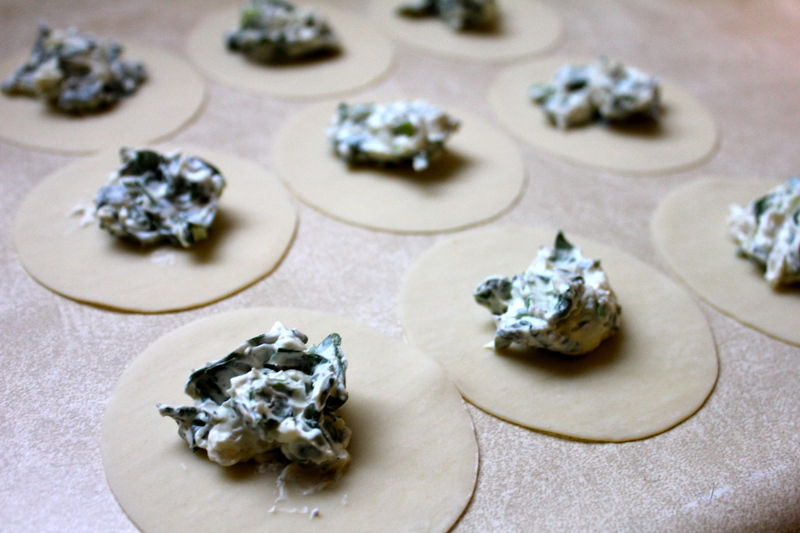 What are some of your favorite wonton fillings? 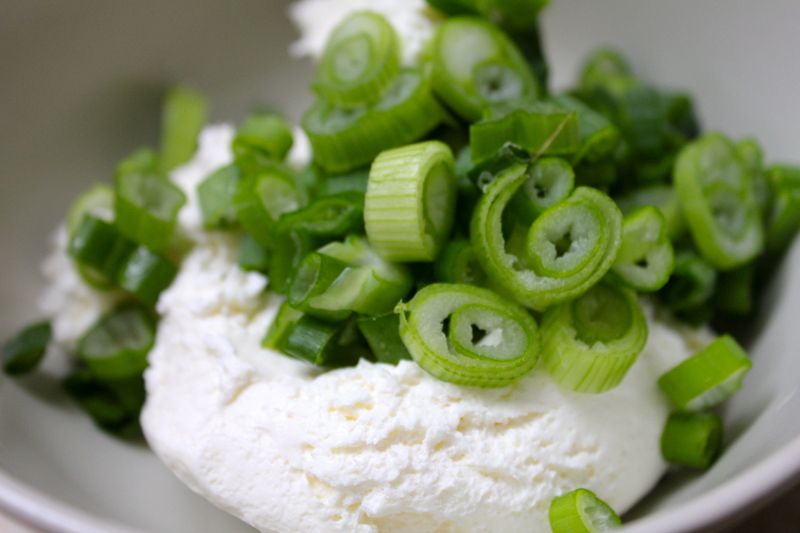 This entry was posted in Uncategorized and tagged Appetizer, Chinese, Cream Cheese, crispy, crunchy, dough, easy, food, fried, Fun, golden, Green Onion, homemade, oil, poach, quick, Snack, spinach, vegetarian, water chestnut, wonton, wrapper by kristinakerley. Bookmark the permalink.